On August 22nd, 2013, some newspapers, including Leadership and The Nation, carried a rejoinder by Gov. Gabriel Torwua Suswam to the interview granted by elder statesman and Second Republic Minister of Steel, Wantaregh Paul Unongo, published in the Sunday Mirror of August 18, 2013. In the interview, Unongo, who is an encyclopedia of sorts, spoke on a broad spectrum of issues, and innocuously touched on the unfolding, but sadly under-reported tragedy that is otherwise called 'Rt. Hon. Gabriel Torwua Suswam, Ph.D.' But even for this 'Rt. Hon.,' renowned, as he is, for verbal inelegance, the rejoinder was an all-time low! In effect, he beat his own record! We have elected to take on Suswam because knowing Wantaregh Paul Unongo's disposition, he is likely to say: 'Just let Gov. Suswam and Special Adviser Akwaya be: they are my children.' We understand his big-heartedness, but we are children too, so we are not constrained by his overly noble inhibitions. We do not have access to government money with which to buy space, but, through this opinion, we wish to make our views known. But before venturing further, we wish to draw attention to the fallen standard of education in Nigeria as evidenced in the Suswam sponsored rejoinder. Although the piece was written by 'Dr. Cletus Akwaya,' and possibly vetted by 'Rt. Hon. Gabriel Torwua Suswam,' the appalling confusion in tenses and pronouns in the rejoinder makes us want to weep for these supposed intellectuals and, by extension, Nigeria! A Ph.D and a Dr.? This is a classic case of double jeopardy. Just three examples will suffice since we did not give them their degrees. 'Akume was in the saddle….' But there are others, like this: 'Chief Unongo may chose (sic) to….' This is one grammatical murder too many. For people with such fanciful suffixes and prefixes like 'Ph. D,' and 'Dr. ', they do themselves, their certificates and their schools great disservice! This is more so as the grammatical liabilities of the duo are in such a foundational area as Basic Grammar and Composition, which is a 101 course in many universities! However, since Dr. Akwaya, who signed the rejoinder, was careful to differentiate his 'Dr.' from Gov. Suswam's 'Ph. D,' we are left to go into speculations. Ph. Ds are usually academic doctorates, but since Suswam got his in gubernatorial incumbency, his may be an 'Executive Ph. D., and not necessarily an academic one. As for 'Dr.' Akwaya, his 'Dr.' may either derive from Medical Doctor or Native Doctor! But since he is not listed in the Nigeria Medical Association (NMA) directory, it is likely that he is a native doctor. And it may explain why almost every time he opens his mouth or pens down a sentence, an English word dies! The academic standing of the duo is further made questionable when they write that Unongo claims to 'have super political structures' when he is not 'an architect, mason or engineer!' By this, Suswam 'Ph. D.' and 'Dr.' Akwaya mean a political structure is something physical, and to build it, one needs an architectural drawing, plus a mason or an engineer, who will mix cement and mould blocks to build it! If it were not so pathetic, we could even laugh. But we rather ask: Need people wonder anymore why: Our Benue; Our Future has today become: Our Benue; Our Graveyard? But we move on to the kernel of the rejoinder. And we make bold to say both Suswam and Akwaya are good students of Joseph Stalin who coined and popularized the sick maxim: 'Call your enemies what you are.' Otherwise, how could Suswam/Akwaya dismiss the Unongo interview as 'a tissue of lies,' and then proceed, without qualms, to erect, not a tower of truth, but rather, a pyramid of falsehood? But what is worse is that it is an inverted pyramid. Meaning: the pyramid is not only shaky, as it were, but the more one seeks for even scraps of facts, the more one comes upon an elaborate tapestry of half-truths, twisted facts, inverted logic, bare-faced lies, embarrassing ignorance and disembodied subjectivity. That the title of the infantile rejoinder disagrees with the verbatim quotation of the supposedly offending portion Unongo's interview is proof that Suswam et all have nothing to indict the elder statesman with, but only used the interview as a pretext to 'finish the old man,' as Unongo is now called in Government House, Makurdi (GHM). There is, therefore, nowhere in the quote or elsewhere in the interview where Unongo said he 'made Suswam governor.' We repeat: Nowhere. The above merely means he was part of the forces that made Suswam's electoral successes possible. If a statement as simple as this makes Suswam/Akwaya to go haywire, should they not be rather quarreling with their teachers? Why Unongo? Once again, we maintain that Unongo saying he was begged to work for Suswam does not amount to saying he 'made Suswam governor.' So charging the man with an imaginary offence is not only wickedness, but also something akin to witchcraft. In any case, if Suswam personally denied accompanying Sen. Akume to Unongo's house, we would know what to say: and we are waiting for him. But as it were, it was Akwaya who was pushed into the market square to make a fool of himself, and equally advertise his probable medical challenge. Perhaps, he is still recovering from his bullets-in-the-head wounds! Unongo did not mention Akwaya. He specifically mentioned Akume, Suswam, Ugbah and Ikyaagba - all of whom are still alive and active in the public arena. If both Suswam and Akwaya chose to forget, why did Akwaya not think of something more intelligent to say when faced with the dilemma of confronting truth with falsehood? This is especially so, as Paul Unongo recalls seeing Akwaya on that day. His words: 'I say this most grudgingly, but then you are insistent that I speak. After the meting, I decided to walk them outside where they parked. And I saw someone cleaning one of the jeeps. Of course, why should a driver not clean his principal's car. It is just that when the cleaner turned to open the door of the jeep, I recognized him as Akwaya, then the commissioner for Information. It struck me as odd. A whole commissioner! But then there is something called unemployment. 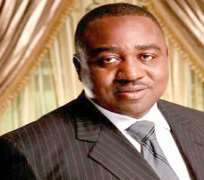 'This is why when Suswam made my wife commissioner, and took her to Information, I had serious misgivings about it,' he added. The world must now understand why it is convenient for Akwaya to forget. If it is amnesia, we have the cure. If it is, however, senility, a sickness of the aged, we sympathize with both Jacob and Esau that it has caught up with them so early. There is so much falsehood to counter, but which do we take next? contradicted him - either publicly or privately. And they are both alive. Of course, it is public knowledge that Unongo consequently left the PDP for the All Peoples Party (APP). But if Akwaya cannot remember driving someone to Unongo's house in 2006, how do we expect him to recall the events of 1998? We hasten to say that even if Unongo or someone else were lying, Suswam cannot be 'appalled.' The reason is because he is too much at home with lies to be offended, least of all, 'appalled' with one isolated or occasional case of lying. His lies are legion and legendary, and so we need not list them here. And as for Suswam making Unongo's wife a commissioner, it is a non-issue. In any case, if the appointment was to silence him, it was a wasted effort. And we further add that elsewhere, people of Unongo's socio-political stature have repeatedly pushed their wives and sons to the national scene as ministers, special advisers, senators and ambassadors. So if his wife was appointed a mere commissioner, it is not his tragedy, but that of a skewed system that rewards selflessness with ingratitude, even iniquity. Akwaya also said, most mischievously, that Suswam defeated Unongo in the PDP primaries of 2006. Unluckily for him, we were there at the Aper Aku Staduim-venue of the primaries, and can say authoritatively, without fear of contradiction, that Unongo, like all the other aspirants, was defeated by the government machinery, which was heavily tilted in favour of Suswam - its anointed candidate. One of the aspirants, Prof. Iyorwuse Hagher, even had to petition the then Gov. Akume, to the Tiv Traditional Council. But we add that even then, even then, with all the manipulations, with all the executive might, Suswam could not win the primaries. And to stop the primaries from going into the decisive, second ballot, some aspirants like the former Deputy Speaker of the House of Assembly, Chief Ralph Igbago, were coerced into undemocratically 'donating' their votes to Suswam! We know that even in village meetings or nursery schools, votes are not donated! And finally, we come to this: 'It appears Chief Unongo is fast loosing (sic) his mental balance on account of his old age.' The meaning of this unrestrained verbal diarrhea is poignant, even in a Government House where restraint is in executive chains; honour, on exile; truth, in retreat; and respect on sabbatical. We say this because no one in his right senses mocks old age, which ia blessing in every culture and civilization. And this is why we also pity this 'Dr.' Akwaya. We rest our case. For now.